MultiCHAX has proven to be a valuable solution in the high tech revolution that is making our company more cost efficient and at the same time helping us fight check fraud. We wanted a solution that would streamline our check printing process. We found it with MultiCHAX. This program and QuickBooks get along just great. I have printed hundreds of checks without a single snag. I have to say that your team has been the best support in helping me fix my issues. I would highly recommend this software to anyone. I have never used this type of software so this is an experience for me. The techs are very knowledgeable and a huge help. Support was quick, clear and concise. Ray is very well versed in MultiChax software and was able to identify and resolve my issue in just a few minutes! 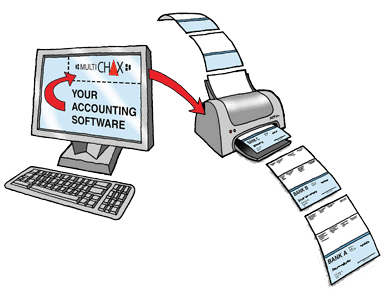 MultiCHAX allows anyone with a PC and a printer to print professional checks. With the MultiCHAX: Check Printing Software, print unlimited checks on blank check forms instead of buying expensive pre-printed checks. With MultiCHAX's versatile control template, you can print on any form and change your layout whenever you want. Choose from any standard check forms, including: top, middle, bottom, 3-per-page, and Z-fold check styles. Choose from manual or automatic bank selection. Add logos, digital image signatures, and more. Add a digital image of your signatures and logos to print directly on your check forms. No need to manually sign each check. Share your MultiCHAX database over a network to manage users, track your changes to accounts, and record transactions. Choose any standard check form to print on, such as: top, middle, bottom, 3-per-page, z-fold checks. Customize your check layout. Add overlay images and logos, too. Setup user accounts and prevent unauthorized access to check printing. Limit dollar amounts and access to specific bank accounts. Create and print blank checks for later use. These checks are normally created when a payment needs to be hand-written. There is no obligation to buy. Download the demo software to try, and let us help you get everything setup. Compatible with QuickBooks, Quicken, Sage 50 and more. Copyright CHAX Software, Inc. All Rights Reserved. Ready to Print Your Own Checks? 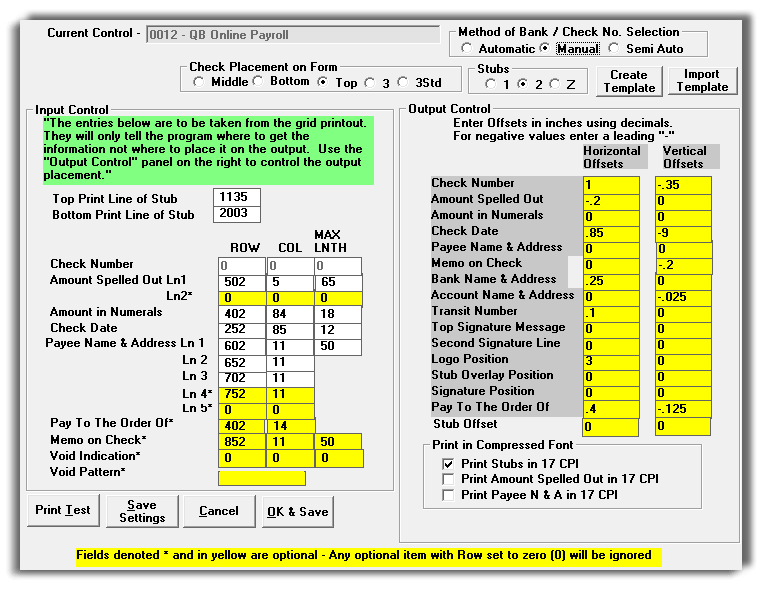 Increase profitability and maximize effectiveness by using the MultiCHAX check printing software. 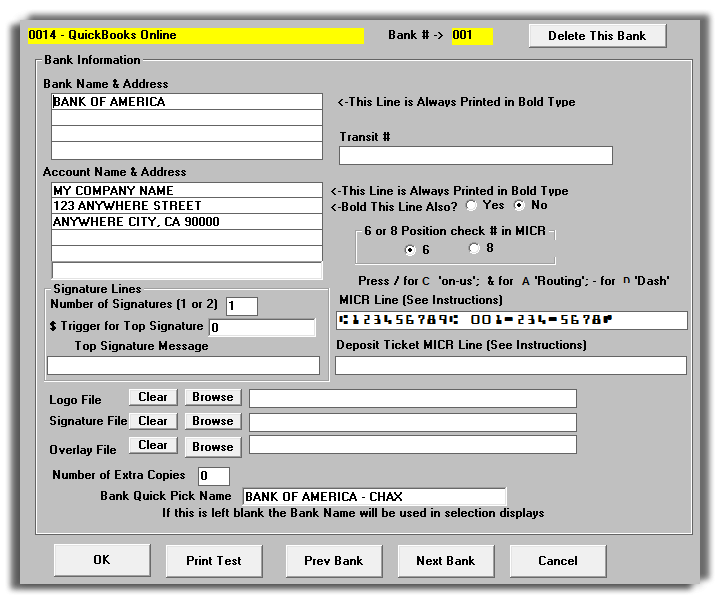 Create and print your checks on blank check forms, and eliminate human errors. You never have to worry about changing and storing multiple check forms. We do not share personal information with companies, organizations and individuals outside of Chax, Inc.